Comcast is a telecommunications giant. Right up there with the big dogs like Time Warner Cable® and AT&T, it offers phone, Internet, and cable services to upwards of 40 million people. 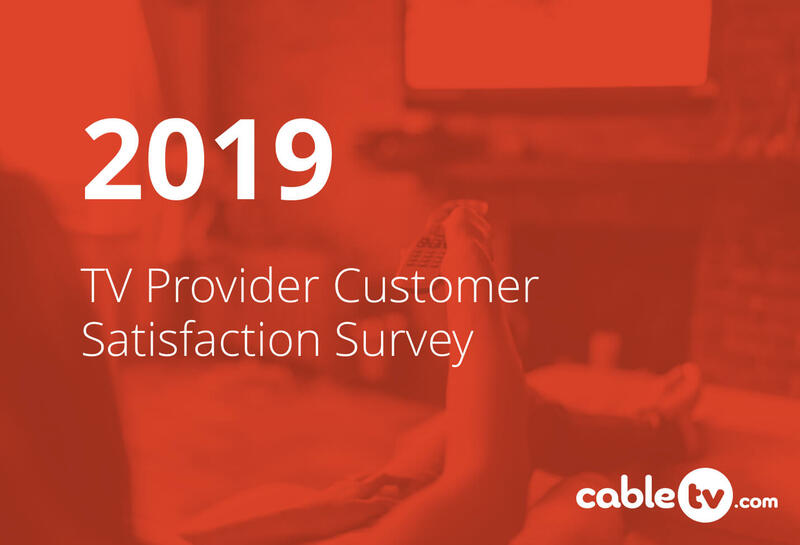 That’s why after surveying hundreds of customers, it was a little surprising to discover that one of America’s largest cable and Internet providers has such low scores for pricing and customer service experience. In fact, Comcast’s XFINITY brand came in 16th under companies like Verizon, Cox, AT&T, and many more despite its reign as a top telecom company. With the bad, also comes the good. Comcast’s Internet is generally rated higher than its TV product, especially in terms of pricing. Comcast can also afford the best technology, and has begun to leverage this advantage with high-tech equipment like the XFINITY X1. The following is an in-depth report of everything Comcast has to offer its customers and where it’s falling short. For those thinking about purchasing Comcast services, this complete company breakdown can fill in the blanks to questions you might have and help you make an informed decision. 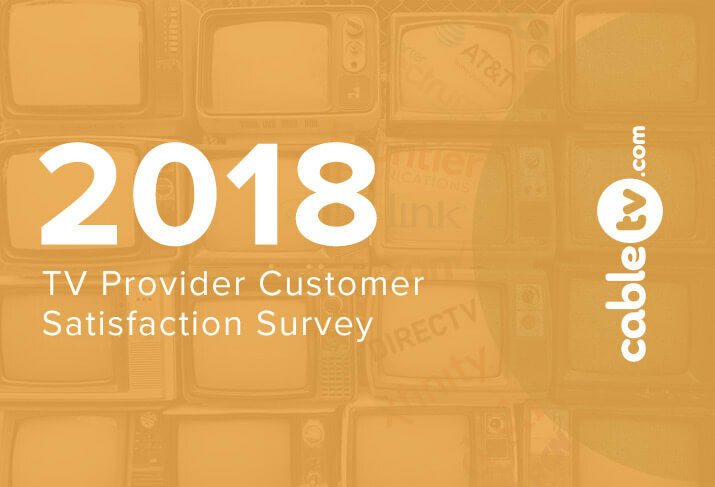 The ratings given throughout this article come from our 2016 customer satisfaction survey where an unbiased third party polled thousands of customers about their TV and Internet service. The results included over 500 Comcast customers. Wherever Comcast offers one service, it offers them all (TV, Internet, phone, and home security). However, not every location is created equal. Out of the 40 states that support Comcast services, none of them offer 100% coverage to every resident. Idaho for instance has Comcast service, but only 1% of households are within range of its services. In Maryland, it’s quite different. About 93% of all people in Maryland can get Comcast services. Depending on where you live in a state, you could also see a disparity between Internet speeds. Just keep that in mind while you’re checking to see if you can get Comcast services in your area because your service might be better or worse than what’s available to your neighbor. Comcast is one of the top two largest providers of cable TV in America—up there with Time Warner Cable. Sadly, its customer service ratings for TV aren’t as impressive. Based on a poll of about 500 customers, Comcast scored 3.36 out of 5 in overall satisfaction for its TV services. Its cable signal reliability shined the most with customers, but its low scores for monthly billing totals brought down its overall score. Pricing was Comcast’s lowest overall category in our customer satisfaction survey. This could have something to do with the way Comcast structures its promotions and regular packages. Normally when you become a customer, you’ll start with a too-good-to-be-true promotion. It’s all sunshine and daisies when you’re only paying $49.95 per month for Internet, 120+ channels, and free HBO. Unfortunately, all good things must come to an end. When your promotion is up, you’ll see a big increase in your monthly bill. For instance, packages that normally contain 120+ channels cost upwards of $80 a month—so you could see your bill double. Or, you could negotiate to keep paying the $49.95 per month, but you’ll probably get fewer channels.Comcast has a lot of hidden fees too which might tick customers off. When you sign up for a promotion or package, it’s not always clear that there might be a $9.95 HD technology fee or an extra fee DVR rental fee tacked on to your monthly bill. Given today’s technology, an extra fee for HD programming is no longer reasonable. In order to keep yourself from getting whiplash when your bill totals to much more than you thought it would be, ask your sales rep to go over every little detail before you sign up. You normally only will get a bad impression if you feel misled, and by ironing out the details from the start, you’ll help prevent that from happening (even though this is something Comcast should be doing a better job at!). This comes with a free standard box and 10+ channels. 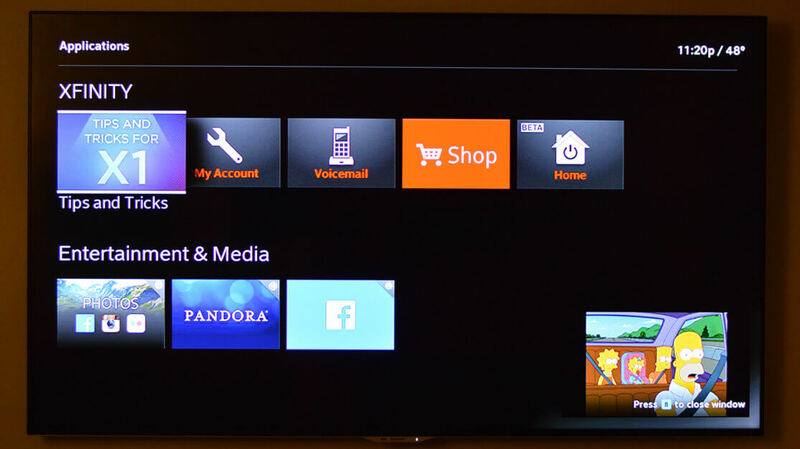 However, it won’t have any DVR capabilities or HD channels. It’s pretty rudimentary as far as technology and cable goes, but it’ll allow you to watch the news and stay up-to-date with major network shows. You’ll get 40+ basic channels with this bare minimum cable package. This comes with a free standard box without any DVR capabilities. This includes 140+ channels, but no premium networks and a limited number of sports channels. It’ll give you a good sampling of channels like HGTV and Discovery, but not the whole kitchen sink when it comes to entertainment. Opt into this package for 220+ channels, including some special sports networks, but no premium channels. Get 230+ channels, including HBO and other popular premium networks with this loaded package. This is the best option Comcast has if you want it all. You’ll be able to tune into 260+ channels and practically everything under the sun. All of the premium networks like Showtime and HBO come included and so do sports channels and more. If your package doesn’t include premium channels and you’d like to be able to watch movies and shows on Encore, HBO, and Showtime (there are others too), you can expect to pay an additional $9.99-$19.99 per month for each channel you add. It’s not cheap, but Comcast does run promotions that offer three to 12 months of free HBO, Showtime, or Encore. This is definitely something you should ask about when you call to set up service since you’ll more than likely be able to try out some good channels for free. Comcast almost always has a promotion going on for TV service and bundles too. If you’re a new customer, you can bank on this. If you’re a persistent existing customer, you might be able to negotiate a promotion when your contract is up for renewal. Just remember that promotions aren’t forever, and you’ll see a big increase in your bill once they end. You can definitely do yourself a favor and get more for your money for the time being though. Pricing varies by region, and special promotions are always changing. Call a representative to check on pricing at your address. Prices are for service with no contract. 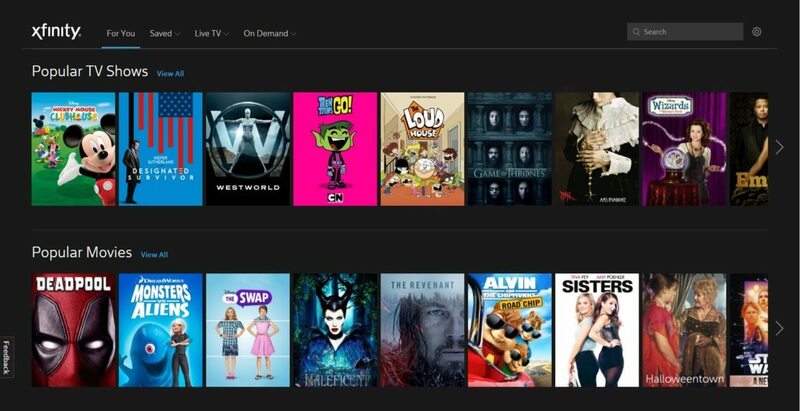 The premier package may look expensive, but its primary selling point is that it also includes premium channels like HBO, Showtime, Cinemax, and Starz. 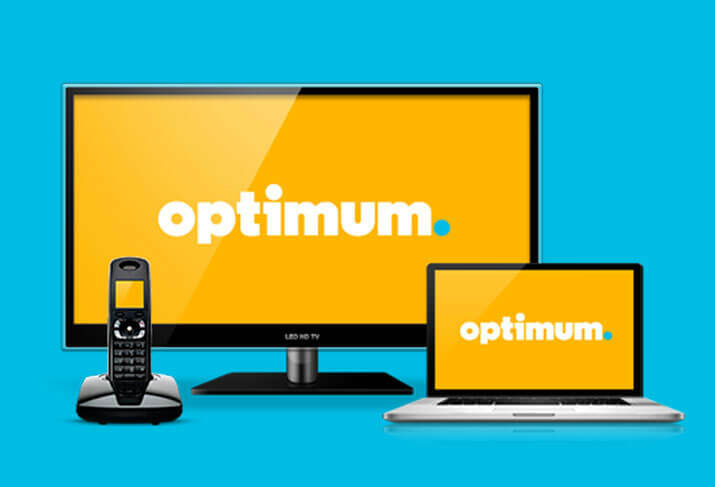 Preferred packages include most other channels most people watch, and also includes an option to add premium channels without breaking the bank. Click the individual channel lineup above to see more specifics. There are two ways to get set up with Comcast XFINITY cable services. One involves a technician coming to your house to do it for you. Simple activation may be free, especially if your home has had cable before. There is an additional $50-$70 for common install requests depending on how many hook-ups you need. The other option is a DIY approach. You can order the cable box and hook it up yourself. It’s a great way to save some money, but unless you know what you’re doing, you might end up frustrated and calling into customer service anyways. Like most things, having them waive this fee is also something you can negotiate, so ask! For professional installation you may end up paying more than you thought you would to connect all the rooms you have TVs in. On top of that, you’re often given a window of several hours where you have to be home for the installers. Even after setting an appointment with a huge window, complaints of installers running late are very common. All told, Comcast’s installation and setup process is inflexible, especially for tech-savvy users, which resulted in a below-average ranking. Comcast scored an average rating for its cable TV’s reliability. Like any piece of equipment, it does go down. If you have an issue with your cable box, an error code will often pop on on the screen. You can call in and report this to a representative who can try and reset your box through a signal, or use the XFINITY My Account app to try it yourself. Comcast has an outage tracker that reports on any issues with cable in your area. You can check in on that to see if others are experiencing the same problem and get updates about when service will be back up and running. You can do this by logging into your account or checking the XFINITY website. Note that Comcast’s cable boxes are also quite finicky and prone to breaking. To avoid most problems, keep it in a cool spot with at least 8 inches around it, and avoid locking the box in an enclosed space with no airflow. Programming schedules will take a while to populate, but you should also make sure you can turn it on and watch a show before your installer leaves. Customer satisfaction scores in our survey indicate a serious problem with customer service and technical support. One major complain is that it’s hard to find contact information online. Once logged into your Comcast account, you cannot quickly find any customer service number even when clicking on the “contact us” button at the bottom of the page. Instead, you’re presented with forums to find answers to your own questions. There is no email listed. No telephone number. There is an option to chat with an agent, but that’s buried at the bottom of the page. Perhaps the customer gripes with customer service begin here? Incorrect charges and fees on a statement. On the bright side, customer service did improve slightly over last year’s scores. Scores are still far below average, but we’ll see whether the company continues to improve as they’ve committed to do. Comcast has a number of TV boxes that it doles out depending on your type of service. Here are the different boxes you might encounter. This is about as basic as it gets. You don’t have to pay extra for this box, but all it does is connect you to channels. There isn’t any DVR capability, HD compatibility, or special tricks. If you have the Limited Basic Package, this is what you can expect to get. This DVR does everything you’ve come to expect from this type of equipment. You can pause and rewind live TV, record programs, and fast forward through recordings. You can also access the OnDemand network of movies and shows. Read the X1 review here. This is Comcast’s newest and most advanced cable box. You can record TV and movies like a normal DVR, but enjoy amazing added bonus features. One of these perks is the voice-activated remote control that allows you to talk to it to change channels and search for shows. AnyRoom DVR is another function that’s made headlines. With this capability, you can sync your cable boxes in your home for futuristic TV viewing. For instance, if you’re watching TV in the living room but want to crawl into bed to finish a show, you can pause it on one TV and pick up where you left off on another. The fact that it’s a cloud device also allows for Comcast to keep it up-to-date with new program features and bug fixes. It’s the ultimate luxury and convenience in TV watching that you can get right now. Comcast often offers better deals for customers to sign contracts. The savings tend to be $10 per month or more. Guess how much the fee is for cancelling a contract? $10 per month remaining. That means if you expect to stay with Comcast for more than half of the contract’s duration, the contract will save you money. If you don’t want to guess or like to avoid commitment, then make sure you’re not purchasing a plan that has a contract tied to it. Comcast offers both, so clarify which type you’re paying for before you sign on the dotted line. Most customers do actually save money with contracts, but it’s your call on how long you think you’ll stay around. Comcast has made a fair amount of progress in technology, including new apps. You can download an app to pretty much do anything with your Comcast service. There’s one for managing your account and troubleshooting, another for controlling your TV remote through your phone, and many more. Take a look at the top XFINITY apps and features below. You can download this app to schedule appointments with technicians, track your service appointments, pay your bill, find service centers, and check for service outages. It’s like most account management apps and provides you with easy access to your account from anywhere. Based on iTunes customer reviews, it’s only gotten two out of five stars, but it’s still something you can use to streamline your interaction with the company. Turn your smart device into your remote with this app and much more. You can browse showtimes of your favorite movies and TV series, see what’s OnDemand, and even schedule recordings. It’s like a magic wand and has received an average of 3.3 stars from over 25,000 customers on Google Play. This app makes it possible for you to watch TV from anywhere. You can stream live TV, OnDemand programs, and your recorded shows directly to your smart device. You can even download programs onto your phone to eliminate the need for a wifi or data connection. Based on over 160,000 user reviews on Google Play, this app has four out of five stars. Log into your Comcast account and you’ll be able to access the portion of its website where you can watch TV shows. If you’ve ever heard of HBO Go or Hulu, it’s a lot like that. It makes sure you can watch your shows from anywhere and get the most bang for your cable bill. If you have a cable plan with the X1 DVR Cloud, you can use this voice activated remote. It’ll make it easier to change the channel and search for shows or movies since you won’t need to lift a finger. Streampix is Comcast’s arsenal of free movies that comes with some cable packages and promotions. Current customers who switch up where they live can use this feature to seamlessly transfer their services to another address. If you’re moving across state lines, it’s a bit tricky, but for small moves you should be able to get set up in your new home quickly. This isn’t a free service, so make sure you ask how much you’ll be paying for this convenience. Comcast XFINITY has a number of videos that show users with hearing loss how to set up closed captioning on their devices. Once on that portion of the website, Comcast also is quick to offer a connection to chat with an agent live. Special attention to customers of all needs is a definite bonus for Comcast as a company. Depending on your needs you may find yourself wishing Comcast had consolidated some of these features into fewer apps, but all XFINITY apps ended up scoring above average on both Itunes and Google Play. Based on about 500 customer reviews, it was made clear that overall Comcast needs to do some work on keeping customers happier with its Internet services. While ratings for speed, reliability, and set-up were okay, customer service and pricing reviews were painful. To get to the bottom of the good, bad, and ugly, check out the survey section breakdowns below and additional information on packages and features. This is a tiny little package that comes with 10 Mbps and can handle a little bit of video streaming and more Internet browsing. For kids in college, this is actually a pretty good option since it’s cheap-ish and will provide the speed necessary for studying, but not enough for the distracting stuff like videos and movie downloads. For a bit more money, you can choose this Internet service if you’re looking for a solid wifi connection with the ability to have two to four users on at one time. You’ll get 25 Mbps of speed and will have the ability to stream video, download, and browse pages. This also comes with the Comcast Customer Guarantee™ so you can enjoy the convenience of two-hour appointment windows for installation or service appointments and a $20 credit if the technician is late. If you need a bit more throttle behind your Internet speed than the lower tier options, this package will allow for fast streaming of HD content at 75 Mpbs. For those who are social or have a bunch of roommates, this Internet package seems to be a solid choice. Four to six users can use wifi at the same time without interruptions to speed. It’s also backed by the Comcast Customer Guarantee™ that allows you to book two-hour appointment windows for service and guarantees a $20 credit if the XFINITY rep is late. Share Internet with six to eight people all at the same time without overloading your wifi. This plan from XFINITY has 150 Mbps of Internet speed, the Comcast Customer Guarantee for two-hour appointment windows, and can download TV shows in seconds and support gaming. A big jump in price means a big jump in offerings. You can get 250 Mbps of Internet speed with this plan and a ton of perks. Surf the Internet, game, or download simultaneously with eight or more people without slowing down. This is by far the best option for households—albeit, the most expensive. Supe up your Internet speed even more with a Gigabit plan from Comcast. You can get up to 2GB/second with this plan. If you own a small business or are powering a large operation, this is where you might consider this type of package. You’ll be able to have a multitude of users online at once, download, upload, stream, and more without a problem. Speed is what it’s all about when it comes to the Internet. This is the commodity that companies use to price plans and what you’ll pay more for if you use the Internet vigorously. The prices below are for service with no contract. Pricing may be cheaper if you agree to a year or two. The disappointment around speed likely relates to two common issues. 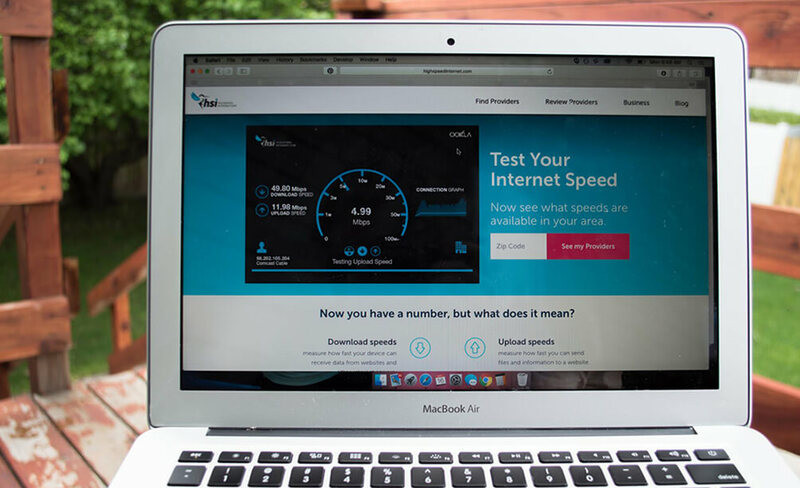 First, not all households can actually get 150Mbps – Comcast’s most common advertised speed for XFINITY home Internet. Second, Comcast has been throttling customers in some markets and charging them for exceeding their cap. While very few users reach the threshold, it’s a very unpopular practice among tech-savvy Internet customers. Comcast offers a variety of Internet packages with varying speeds and functions (see above for specific plans). The slowest and cheapest starts at just around 10 Mpbs and the fastest and priciest tops out at 2GB/second. Having such a broad range of speeds and prices makes it possible for most every customer to find an Internet service that best fits their needs. If you’re worried about being displeased, choose a speed option that will make sense for your Internet needs. If you know you game a lot and download movies, don’t pick the base package because it won’t support that. Choose a bigger package that will allow you to access the Internet quickly and interruption-free. People seem to feel “meh” about the installation and setup of Comcast’s Internet. As with TV service, the process can be inflexible. Whether people hired a technician or try their own luck, the numbers aren’t stellar. People might be upset with the installation of the Internet if they run into problems with connectivity and need to spend time calling into customer service to troubleshoot. Or, if they have technicians install modems, they could be mad about the service fees. If you do use your own modem, make sure to call Comcast to register it on Comcast’s network. It’s unclear why this step is necessary, but if you skip it you may find yourself losing Internet service for no reason at the beginning of the next month. If the modem previously belonged to another Comcast customer you may have problems de-registering it and adding it to your account. For this reason we generally recommend buying a cable modem new. The Internet can actually break without the help of a famous person’s derriere. Although, when outages happen due to glitches and weather, Comcast does its darnedest to tell you what’s going on. With the company’s outage tracker, you can sign onto your account to see if people in your area are suffering from a break in Internet connection. The XFINITY My Account App even allows you to check the connection status from your smart device. Cable networks like Comcast’s are particularly prone to losing speed or connectivity during peak hours due to strain on the network. Getting a 3.6 out of 5 shows that Comcast’s connection isn’t always dependable, but it’s about average for Internet providers. The tech support for Comcast’s Internet service is even lower than its cable score. There’s no real way to sugarcoat that. It’s bad. Out of 22 companies, Comcast scored 18th. Internet tech support can be particularly brutal with Comcast as you’re told to restart your modem a couple dozen times as your call is slowly escalated. Just hope your call isn’t disconnected before you reach someone who knows what they’re doing. Losing Internet connectivity is all kinds of frustrating. You can’t go online to find support for customers with similar problems like you’re used to, and you can’t take advantage of Comcast’s chat support agents. Just remember, customer service experts generally agree that staying calm is the fastest way to get your call taken care of quickly. If you’re tech-savvy, this shouldn’t scare you off. However, if you know you need a lot of assistance with the Internet, this poor score is something to ponder before you buy Comcast Internet. You can use your own modem and routers with Comcast Internet, but you need to make sure it’ll work with your Internet speed first. You can check compatibility on Comcast’s website based on your Internet package. That way, you’ll know for sure if your modem/router will work and you’ll be able to avoid paying a rental fee to use equipment from Comcast. This modem connects through a cable to one computer to give it Internet access. It doesn’t put out a wifi signal, so it’s not ideal for people who want to share Internet. In this day and age, it’s kind of shocking that this still exists since everyone seems to be wireless, but it’s a basic option that people can still purchase. This costs $10/month to rent on top of your regular Internet bill. A more modern version, this modem includes a router that puts out a wifi signal to allow multiple users or devices to connect to the Internet at once. It will also cost you $10 a month to rent this modem too. Comcast isn’t overly crazy with its fees for cancelling early. It only charges customers $10 for every month left in your contract. If you have two months, this will be a small $20 fee. However, if you have more like 12 months, that will amount to $120 in fees. That said, the monthly savings for signing a contract is usually about $10, so you’re not really losing anything but flexibility by signing a contract. If you want to avoid a large payment all at once and think you might cancel, avoid service that requires a contract. Internet from Comcast can be purchased on its own or bundled with TV and home phone services, so determine what kind of contract you have before you sign up to avoid cancellation fees down the line. Generally, though, the 1-year contract does actually make financial sense, even if you think you might cancel part-way through. Enter your zip to find XFINITY availability in your area.